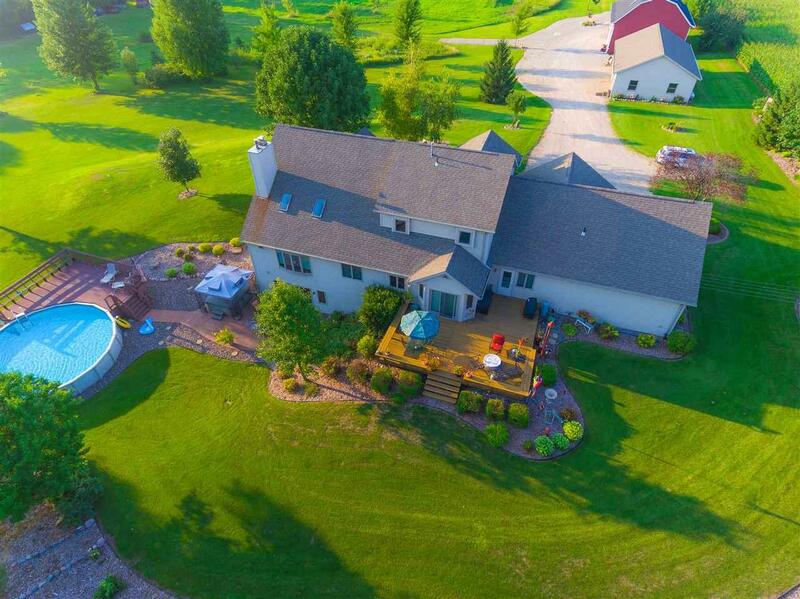 Beautiful 4 bed 3.5 bath home on a scenic 12.85 Acre lot. 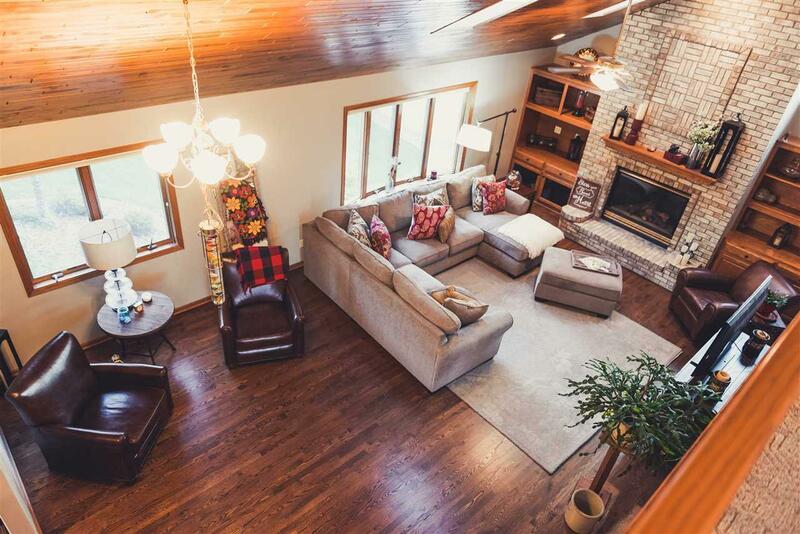 Large living room with a floor to ceiling brick gas fireplace, overlooking loft, cathedral wood ceiling, and skylights. Oak hardwood floors throughout most of main level. Kitchen with island and breakfast bar. 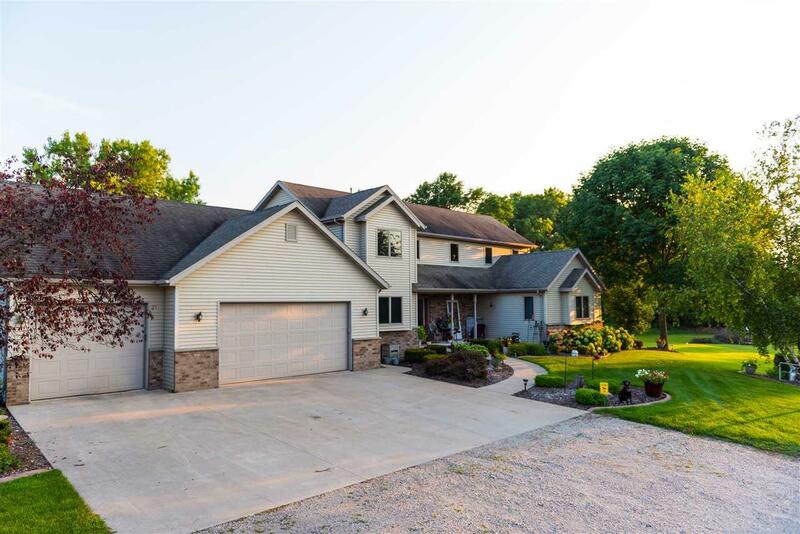 Finished walk-out lower level with bonus/5th bedroom, family room with free standing stove, full bath, and rec room. 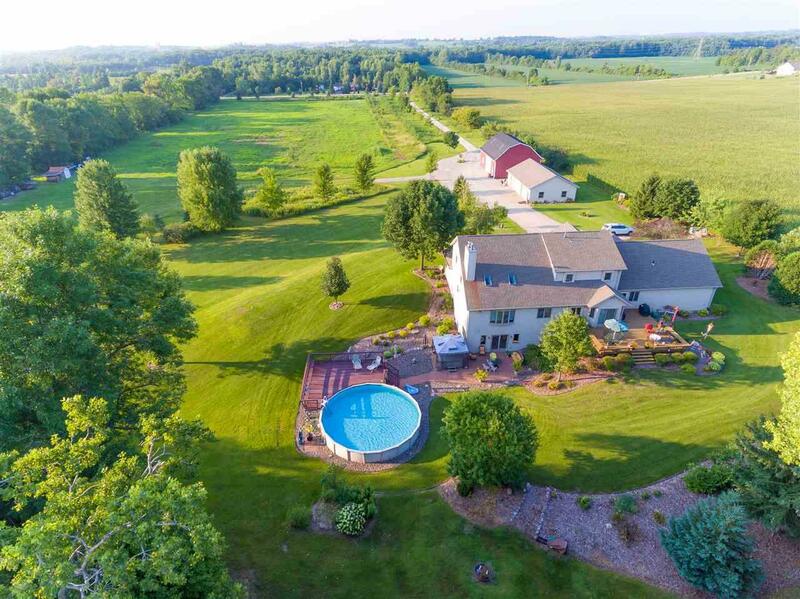 Amazing yard with extensive landscaping, deck, pool, walk-out basement to a brick patio, detached 3.5 car garage, and a barn. 5 miles to Hortonville High and 7 miles to the Fox River Mall. Has barns & pasture. Listing provided courtesy of Foxcityhomes.Com, Llc.